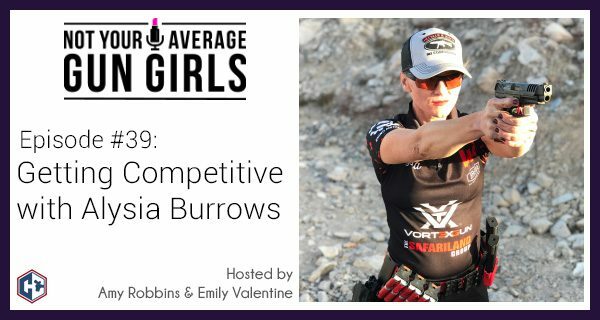 In today’s episode, Amy and Emily are joined by Trinity Merrill at the StealthGearUSA booth at SHOT Show 2019. 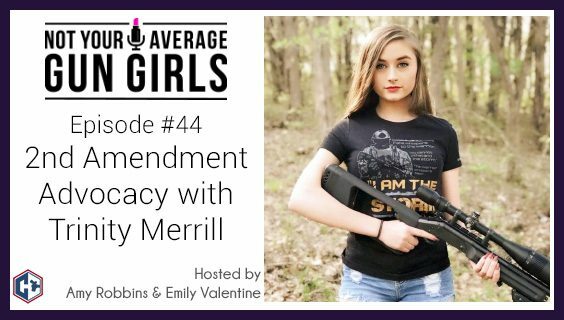 Get to know Trinity as the girls discuss how she got into shooting and how she is advocating for the second amendment. The girls also talk about social media and being an influencer as well as the downsides to being on social media. Trinity also lets us in on her future plans and what she does to keep busy when she’s not shooting. Thank you to StealthGearUSA for sponsoring this episode. StealthGearUSA’s patented Ventcore® technology is the heart of our company. Our holsters are lightweight, breathable and can be worn comfortably and easily concealed for everyday use. Over the past two years, we have been introducing new technology and processes to our production facility which has now translated to better everyday savings for our customers. Our holsters are still the same high-quality products, but they can now be purchased for 30-40% less than prices over the past five years. Be sure to also check out the new StealthGearUSA SG-X Modular Holster System. It’s a fully adjustable all polymer holster with an IWB only version and an IWB/OWB compatible version. Its modular design with the Safariland ELS Systems allows for the IWB/OWB compatible version to quickly be changed from the Chest Holster, Drop-Leg or onto the belt. Huge thanks to StealthGearUSA for hooking up the Not Your Average Gun Girls listeners with a discount code. Be sure to use code GUNGIRLS10 for 10% off your StealthGearUSA purchase. Today’s episode features Lena Miculek, a legendary shooter that has been successful at the highest levels. Amy and Emily sit down with Team SIG member Lena Miculek at the Sig Sauer booth at SHOT Show 2019. Hear how Lena was introduced to competitive shooting and the world record she just helped set. Lena gives us an inside look at her match day preparation and routine. The girls also talk about what Lena’s does during her down time, her favorite makeup, her must have defensive tools, and the importance of being mentally prepared. In today’s episode, Amy and Emily record the show from the Elite Tactical System (ETS) booth at SHOT Show 2019. Today’s guest is a true SHOT Show OG, Sarah Jane Rodriguez. While you might know her from the Real House Wives of Orange County, she is helping to change the demographics of the firearms industry. 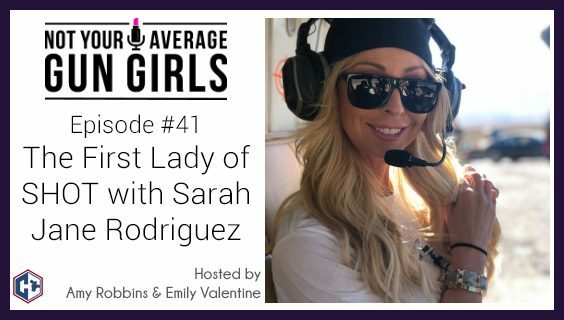 Listen in to get the inside scoop on her new YouTube channel, how she got into the firearm industry, and the response she got from the RHOC show. Thank you to Elite Tactical Systems (ETS) for sponsoring this episode. Elite Tactical Systems, the makers of the world’s fastest speed loader for your firearm magazine guaranteed. The ETS loader is ridiculously fast, less than three seconds. You don’t have to touch the rounds, it makes loading fun. This is the best $30 you’ll ever spend on your shooting hobby. No more mag thumb and ladies, no more messing up your manicures. The ETS loader belongs in every range bag. ETS makes a universal rifle loader and pistol loaders for 9mm, .40 cal, and .45 cal .380. They’re made in America with a lifetime warranty. 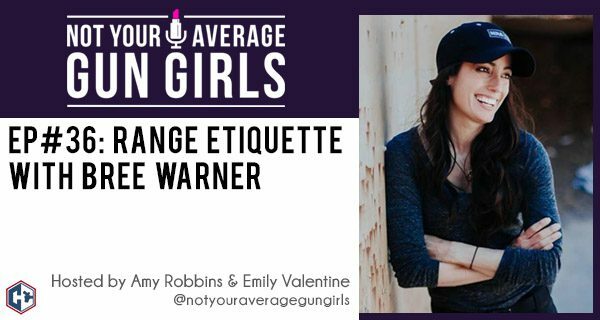 The Not Your Average Gun Girls podcast is back for 2019! Be part of the 1 year anniversary of the podcast and hear what’s been going on over the holiday break. The girls return to the Heckler & Koch booth during SHOT Show 2019 talking with an OG guest, Alysia Burrows. Alysia returns as part of the HK shooting team and lets us in on her progress on becoming a competitive shooter while balancing it all out as a wife and mom. 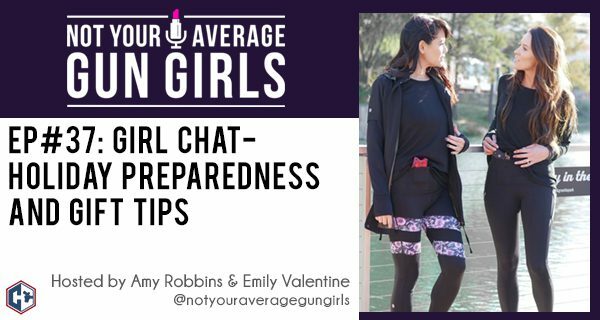 In this week’s episode, Amy and Emily catch you up on the latest and greatest with Style Me Tactical and Alexo Athletica. Emily highlights her top picks from her holiday gift guide and Amy gives you a first look at Alexo’s new collection. The girls also discuss simple and easy to remember holiday preparedness tips. 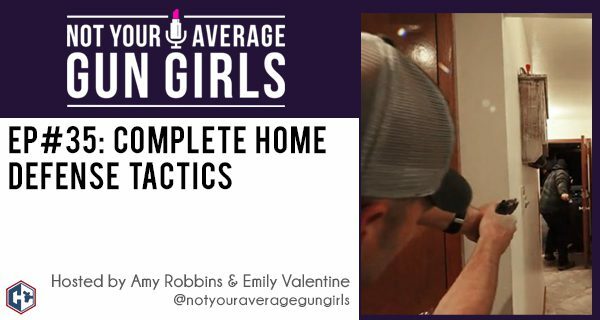 In this week’s episode, Amy and Emily talk with Riley Bowman of ConcealedCarry.com to discuss the 5 fundamentals of home defense. Learn how you can begin to protect your home from an intruder and get all the advantages of being a home defender. 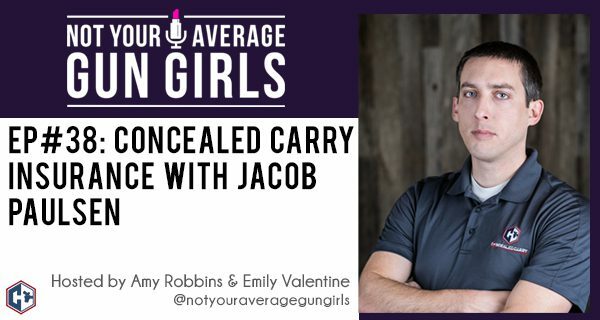 The girls also talk with Riley about his every day carry and the perks of being a member of concealedcarry.com‘s Guardian Nation.